Presented by Glen Gerreyn, Director and co-founder of The HopeFULL Institute. Learn the five fundamental positive parenting tools, based on positive psychology research. You’ll leave feeling equipped with the skills to better connect with your children and to empower them to tackle a complex world. Our first responsibility as parents is to enjoy our kids. Because how you think about being a parent deeply shapes how your child will see the world. When you are enjoying your children you are teaching them that the fundamental engine of what makes a family thrive and flourish is joy, not angst, depression, despair or destitution but joy. 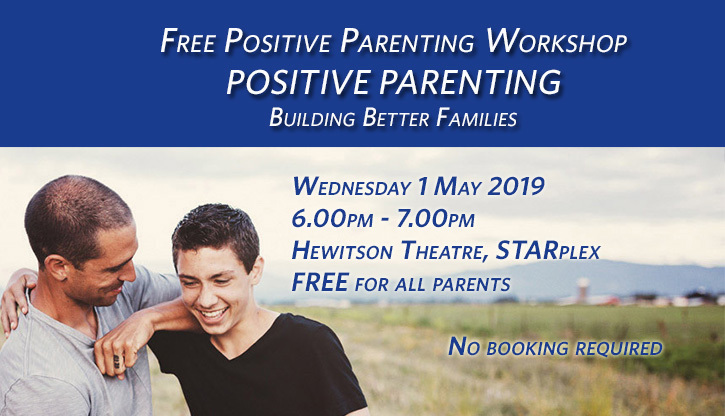 This event is FREE for all parents, no booking required. Download a flyer here.